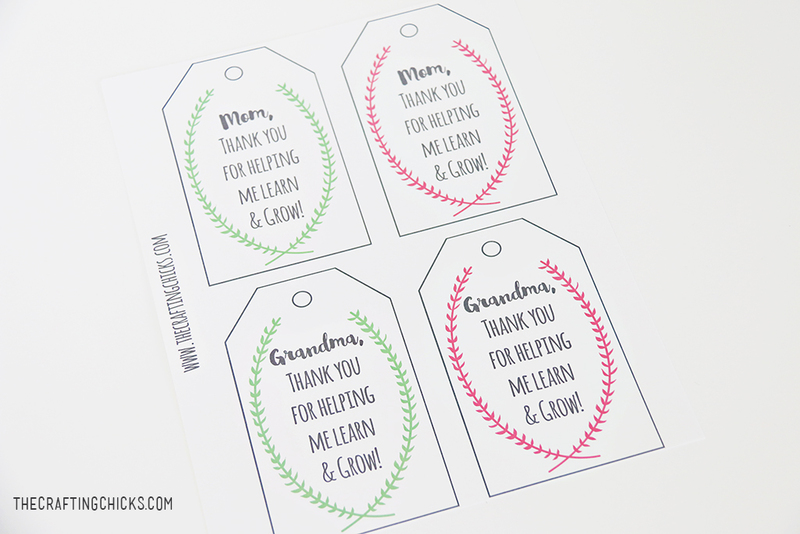 Sharing a sweet mother’s day gift idea with a free printable tag. I added one for Grandma too! 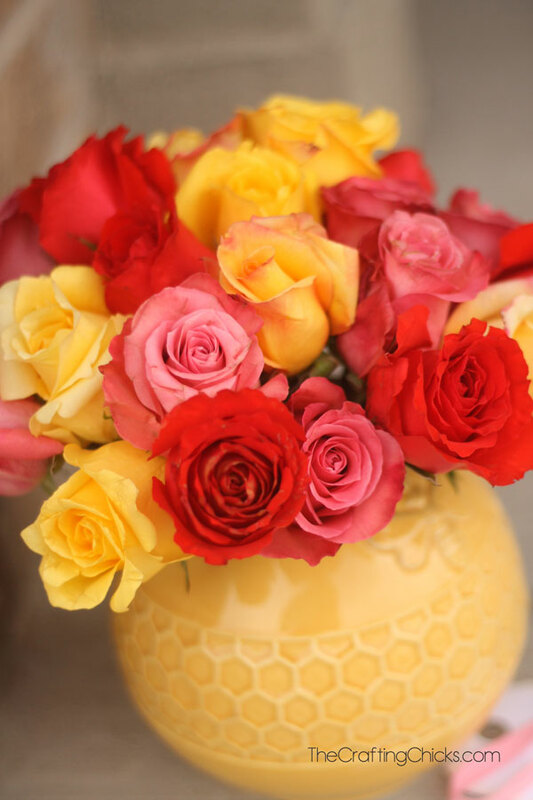 Plants and flowers always make a sweet gift, especially during springtime. 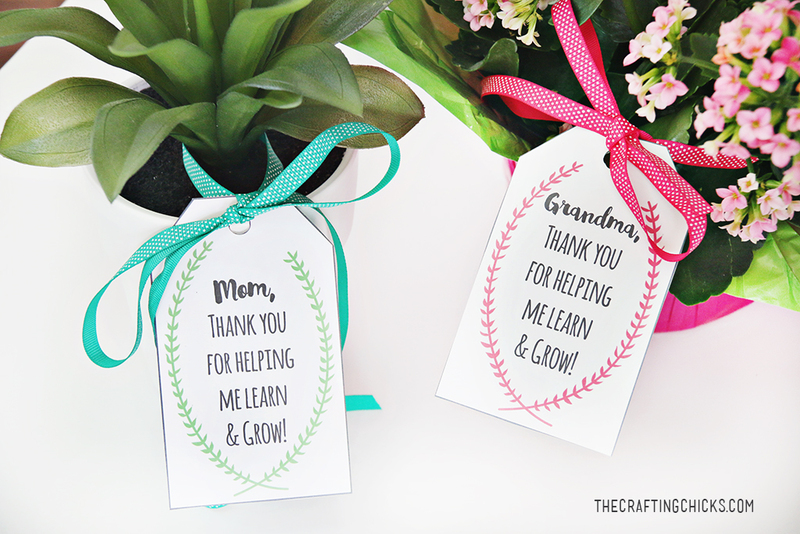 Mother’s and Grandmother’s will love a pretty flowers or plants with a gift tag that ties into the theme. Step Two: Cut out the Tags and Hole punch a hole in the top. Step Three: Using pretty and colorful ribbon, tie the tags around a flower vase or pretty plant. 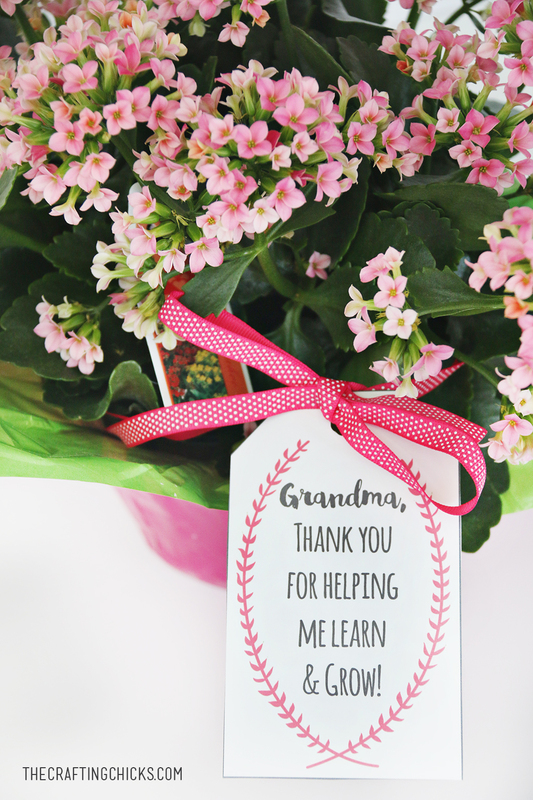 Such a pretty gift for moms and grandmas this mother’s day! Download Below. Personal Use Only Please. 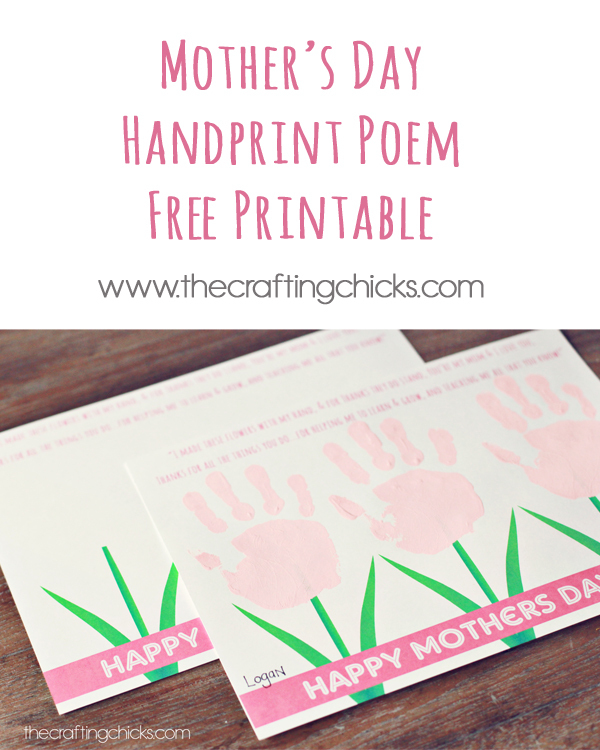 All downloads and printables are property of The Crafting Chicks, LLP. This is a sweet idea with kids’ handprints! Just add handprints using pink paint to the tops of the stems. The handprints make a pretty flower. 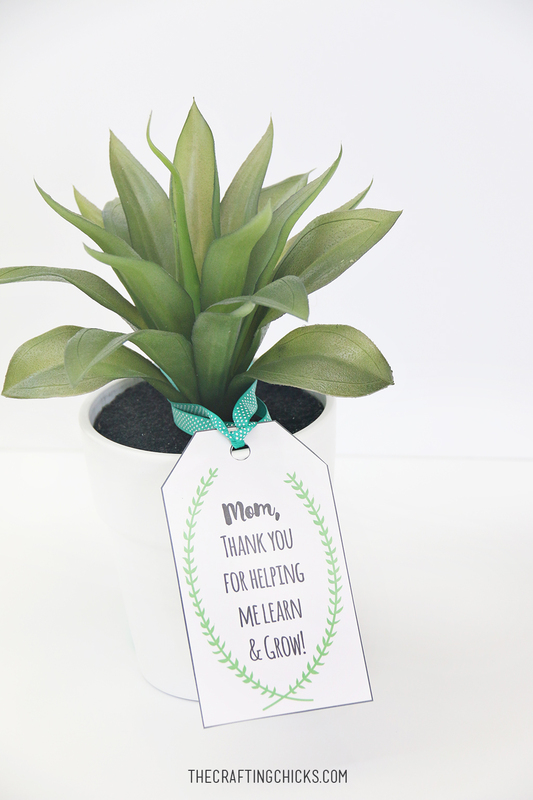 Perfect thoughtful gift for moms! This is one of our most popular posts! 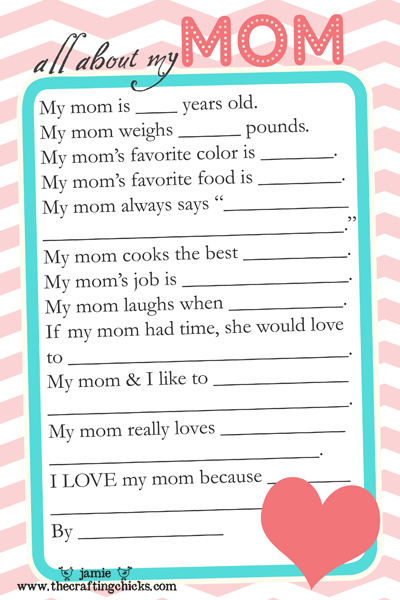 A questionnaire for mom and grandma! What the kids say will have you laughing for days. 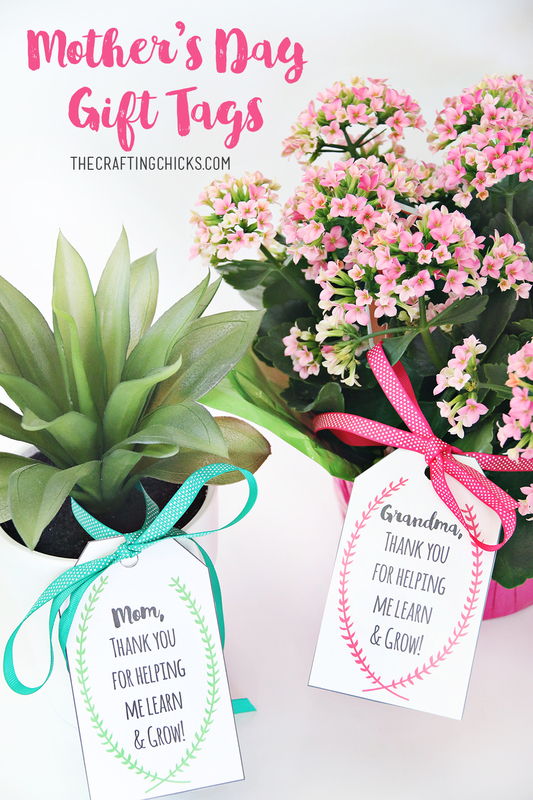 Try making your own bouquet and attach the Mother’s Day Free Printable Plant Gift Tag. 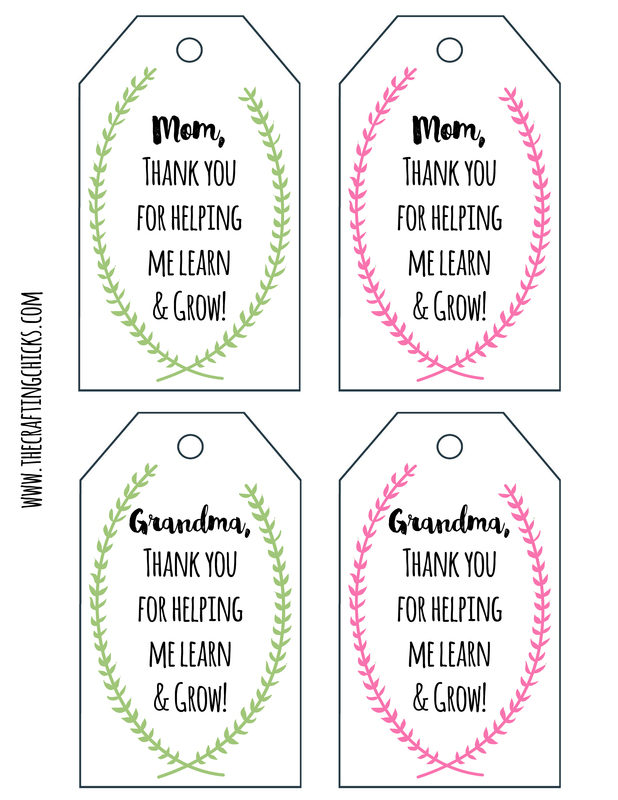 I am organising a school fundraiser for Mother’s day and would like to include these tags as part of them. Would you be happy with this or does this violate your personal use only rule. 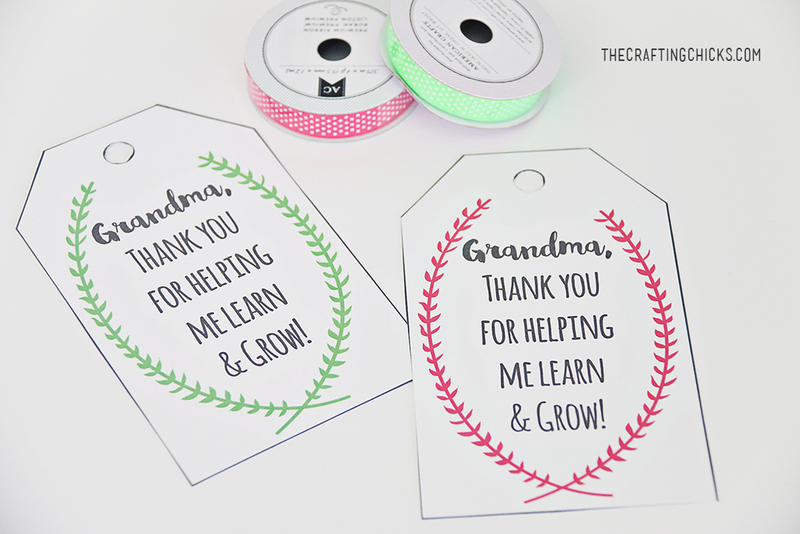 Happy to include a credit to you on the back of the tag when we print them. Thank you for checking with us. We’d love for you to include our tags and would love for the credit on the back.